I always hoped more people would talk about flossing — but never like this! By now, everyone has read or heard about the Associated Press article throwing shade at flossing. To summarize: Last year, the AP, under the Freedom of Information Act, asked the departments of Health and Human Services and Agriculture to provide the publication with evidence that flossing works. When the flossing recommendation was removed from this year’s federal dietary guidelines, the AP figured they were on to something, so they decided to take a look at the available research. Reviewing about 25 studies comparing the effects of brushing alone with brushing and flossing, the AP concluded the research used to previously recommend flossing did not actually meet the criteria that the Department of Health and Human Services requires to write something into its Dietary Guidelines. The studies the government did have, said the AP, suffered from short durations and small sample sizes. The article spread like wildfire. People were quick to conclude that flossing has no health benefits and therefore people could stop doing it. Let’s be clear about one thing. No study, and certainly no dentist, would ever claim or even imply that flossing is harmful. You would be hard-pressed to find a study that concludes a person’s health is improved by eliminating flossing from her oral health routine. In fact, the conclusion that most studies draw is that even though the data are limited, the potential benefits of flossing outweigh the risks. 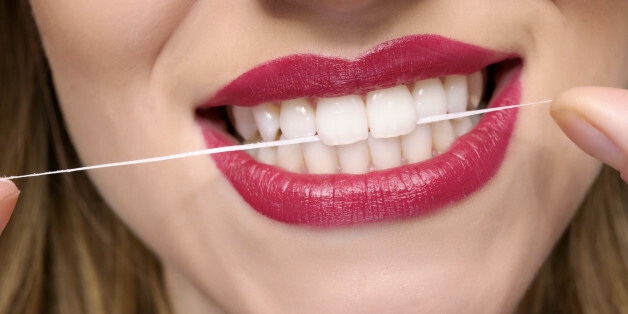 For example, a 2012 scholarly review, while cautious in its conclusions, states that “despite the uncertain or low quality of most of the studies, and given the importance of avoiding plaque deposition, plus the absence of any major disadvantages, these results support the use of regular flossing with toothbrushing.” In other words, we’ve got a few studies that say it’s good, and no studies that say it’s bad, so let’s keep doing it — especially because we know proper flossing can help remove plaque, which can lead to cavities, gingivitis, and periodontal disease. I say “proper flossing” because that’s an important term that might be being overlooked by some in their furor to invalidate flossing. For a 2006 study titled “Dental Flossing and Interproximal Caries: a System Review,” researchers wanted to see whether flossing at home had the same health benefits as being flossed by professionals. They recruited 808 children aged four to 13 and split them into three groups: kids professionally flossed five days a week; kids professionally flossed once every three months; and kids who self-reported flossing at home. The study lasted 18 months, and the findings were hardly surprising. Participants who were flossed professionally five days a week had a 40 percent decrease in their risk for cavities. The other two groups, those flossed professionally once every three months and self-reported home flossers, didn’t show any decrease of cavity risk. While this might at first seem to give some fodder to the “Stop flossing!” crowd, it’s important to clarify what exactly the study is showing. The researchers don’t conclude that flossing doesn’t help prevent cavities; they conclude that the key is flossing properly. The conclusion of the study, then, is that when flossing is done correctly, it strengthens patients’ oral health. Another major problem with the AP report is how shady it makes all of us dentists look by implying that we’re colluding with floss distributors to help them see increased profits, which we allegedly get a chunk of. Companies like Proctor & Gamble, who sell floss, have “paid for most studies and sometimes designed and conducted the research,” writes the AP. So dentists are giving out floss because we want to make more money? In actual fact, we would make more money if we stopped handing out floss. In 2009, for instance, dental expenses for children aged five to 17 totaled $20 billion! There’s a more obvious reason dentists might give you floss: because we’re convinced it will help you! Patients should be aware that flossing isn’t the only kind of interdental cleaners. There are several options to choose from, including water picks and small brushes. Many of these carry the ADA seal. Regardless of which tool you use, it’s important to clean in between your teeth. We know that our patients don’t love flossing. In fact, we know they’d rather spend the time doing other things — like cleaning a toilet. To be honest, I am not even the world’s most reliable flosser. However, when I floss and see plaque or a tiny bit of dinner dislodge from between my teeth, I can’t deny that I have done something beneficial for my oral health. That’s the thing about flossing. It’s a common sense thing to do. If you don’t floss, you only clean 60 percent of your teeth’s surfaces. Imagine you left 40 percent of your body unshowered. Even if there were a couple articles circulating around Twitter about how that might be OK, wouldn’t you still feel gross about your hygiene? Of course, appeals to common sense don’t replace rigorous scientific study. But the unanimous advice of the American Dental Association is hardly the stuff of Old Wives’ Tales. According to its guidelines, flossing ought to be part of everyone’s daily oral health routine. In response to the fuss over the AP story, the ADA released a statement reiterating its position that flossing is “an essential part of taking care of your teeth and gums.” A spokesperson for the U.S. Department of Health and Human Services also said that flossing is an important oral hygiene practice, and clarified that the Department never intended to imply that it wasn’t. At the end of the day, flossing is your call. Patient autonomy is essential to health care, and as dentists, we can only advise you on what we think is best for you on an individual level. But the next time you’re holding that tiny piece of string, ask yourself this: Would you rather floss, or get a filling or a root canal? The floss will cost you a few bucks every month or so. The dental work — well, that’s not as cheap. Plus, it comes with a needle.